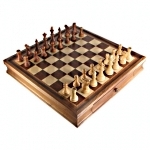 We carry an amazing selection of chess sets that should fit any need. The quick links below will take you to our sub-categories of chess sets and pieces, but if you need more information about the options available just read on; we have descriptions of each category so you know what sort of products to expect. 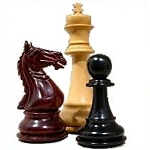 With hundreds of chess pieces and chess boards, it is often difficult to decide what chess set is right for you. Our experts have taken a selection of the exclusive "Mark of Westminster" chess pieces and chess boards and combined them to make chess sets ideal for both display and play. 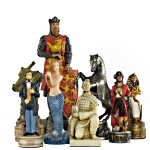 There are chess sets for almost any theme you can imagine, from American History Chess Sets to Fantasy Chess Sets. 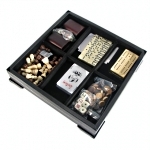 Some come with the chess board included, but many allow you to customize to find the perfect theme or artistic chess set. We offer recommended options for the right board for your pieces. It can be very difficult selecting the right chess pieces and chess set. 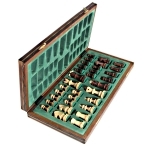 We have a selection of traditional staunton chess sets complete with the chess pieces and chess board included to help make choosing easier. Perfect for children and adults, our folding chess sets are traditional designs that are self-contained with compartmentalized storage for the chess pieces and come in sizes ranging from small and portable to tournament size. On the go? 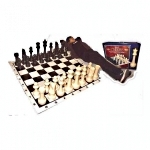 We have a wide variety of magnetic and portable chess sets perfect for the chess player who wants to continue to hone his or her game while on the move. Ideal for commuters or travel on trains, planes, or buses. 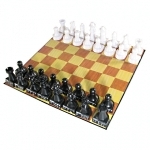 For both casual and professional players, our tournament combination chess sets are extremely affordable and include options for everything you need to get started; plastic chess pieces, chess bags, vinyl chess boards, and chess clocks. Our Marble chess sets use a variety of colors from the traditional to the exotic, creating a bold statement that can compliment any home. 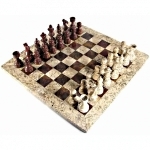 These hand-crafted marble chess sets ensure that no two will ever be exactly the same and come in a variety of styles to choose from. We've travelled the world to find some of the most unusual and exotic chess sets around - when we can't find a proper category for them on our chess store website, we put them here. 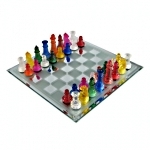 You will find a large selection of chess sets in a variety of materials, shapes and sizes. Not sure of the rules of chess? New to the game? Instructional Chess Sets have aids to help the beginner - both young and old, learn the basic rules of chess. These sets have visual aids or books to help memory and learning for the first time. 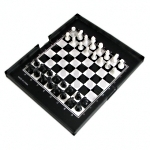 Looking for something different from a standard chess set? Tired of sitting on the sidelines while watching your friends play? 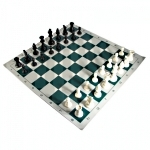 Chess variants include games similar to chess with unique rules, options for multiple players or other games inspired by chess. Want more than just chess? 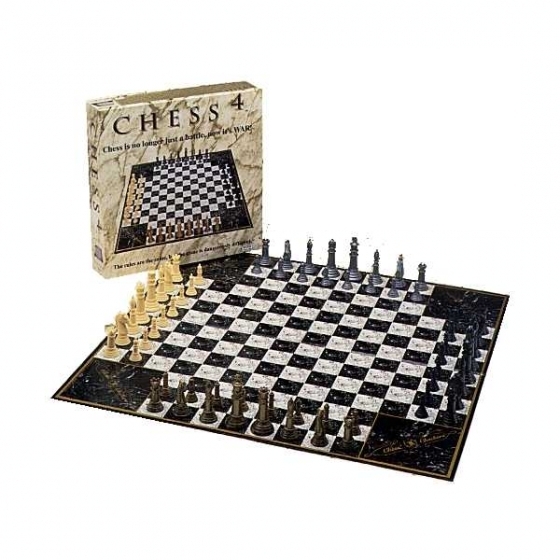 Our multi-game chess sets include other games such as checkers, backgammon, dominoes, cribbage, chinese checkers, go, and more. For patio, lawn, or even indoor use, we have a selection of larger sized chess games specifically designed for use outdoors.